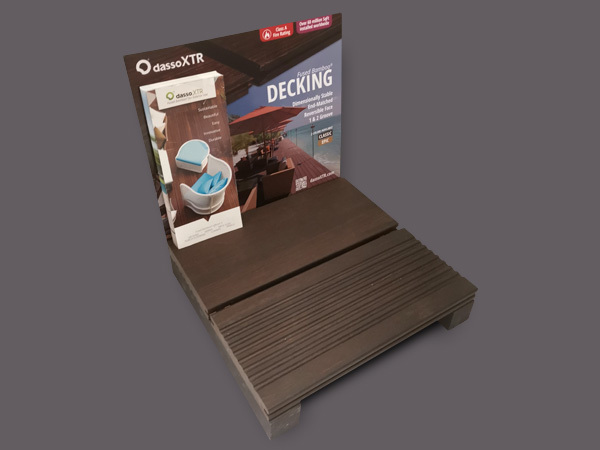 XTR’s Decking Brochure – 30 pages 5.5” by 8.5”. $2.00 Delivered. 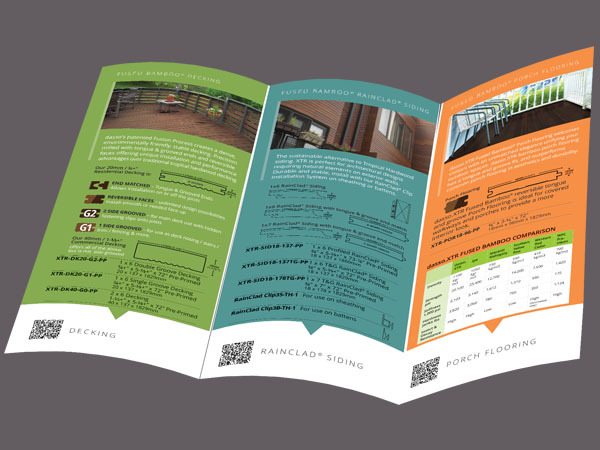 Sample measures 4" (90mm) x width of products. $15.00 Delivered. 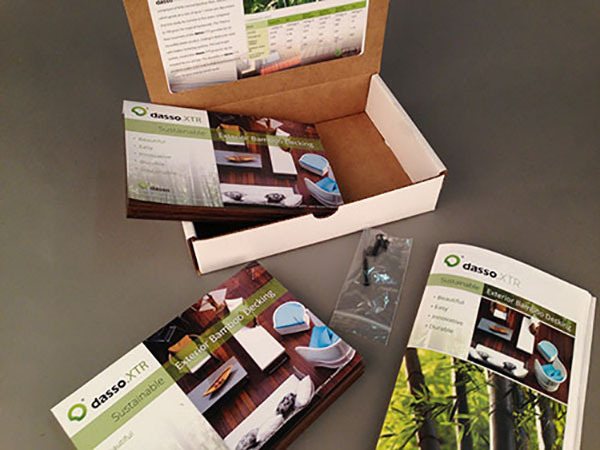 This Sampler box contains two pieces of XTR Decking plus a brochure and samples of the Hidden Fastening System. 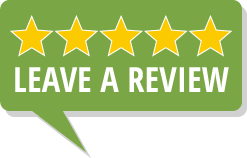 $15.00 Delivered. 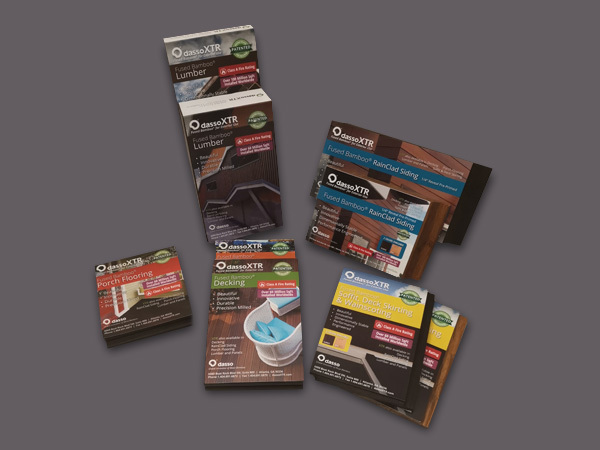 This Sampler box contains three pieces of XTR Siding plus a brochure and samples of the Hidden Fastening System. $6.00 Delivered. 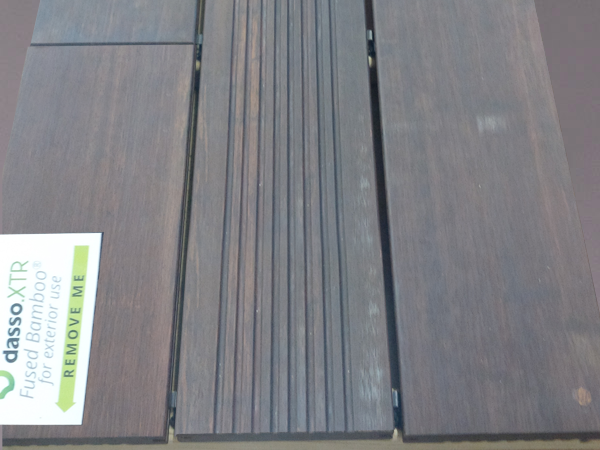 A full thickness/width 8” piece of Decking with Cover, shipped with an XTR Brochure. $249.00 Delivered. Merchandising Display Rack that fits 8 Hand Display Panels. 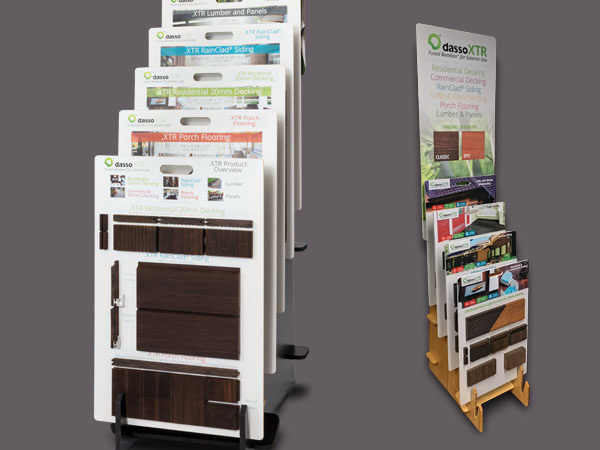 The Hand Display Panel highlights each product and provides a large product sample, installation and list all the necessary accessories to complete its project. $75.00 Delivered. 18” by 30” Demo Deck mounted on 2x2 Framing shows all the fastening systems, the reversible face and features a removable piece to demo the end tongue and groove. $75.00 Delivered. 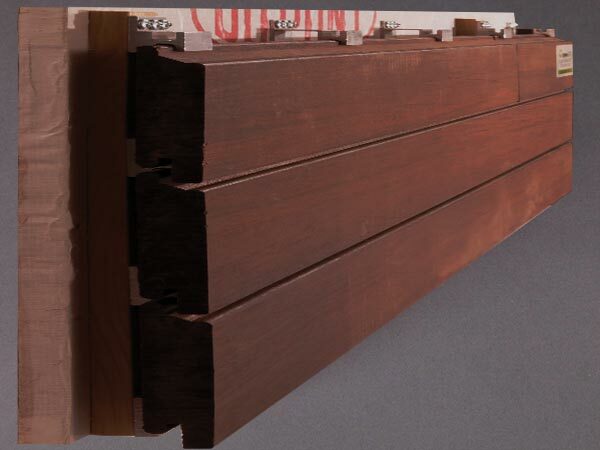 Siding demo mounted on 2x2 Framing shows all the fastening systems, the reversible face and features a removable piece to demo the end tongue and groove. $35.00 Delivered. 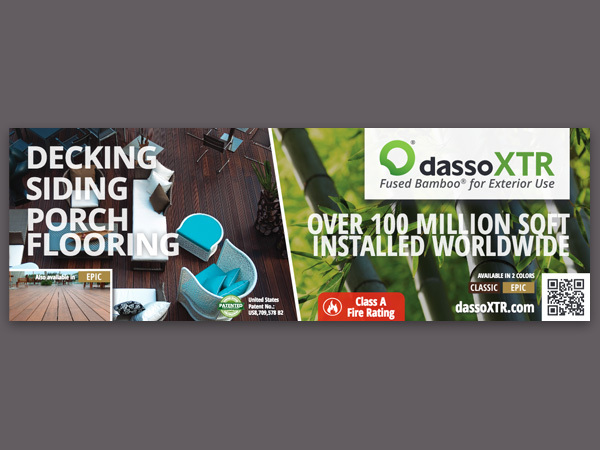 A 6' by 2' Vinyl Banner to hang on your showroom wall to call attention to dassoXTR.